With the free mind mapping shapes, you can create mind mapping diagram easily from built-in examples and templates! 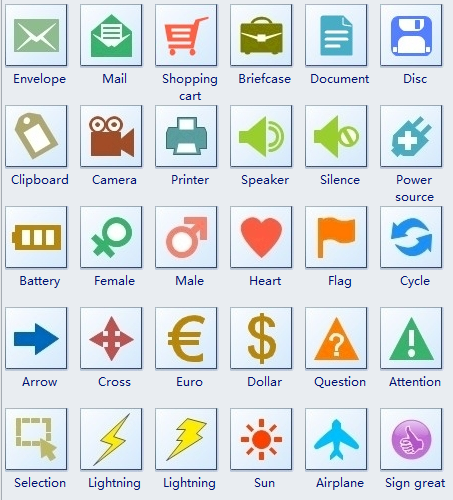 The following mind mapping shapes are encompassed in Edraw software. You can use them to create mind map royalty-free. 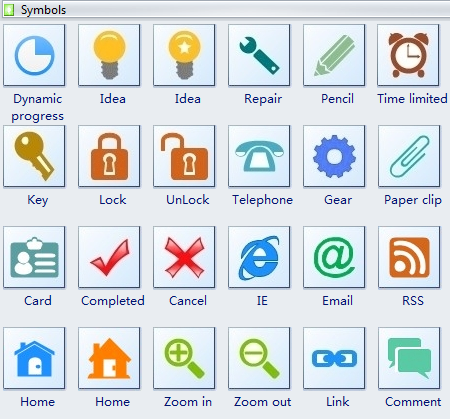 Mind map symbols including dynamic progress, idea, repair, pencil, time limited, key, lock, unlock, telephone, gear, paper clip, card, card, completed, cancel, IE, Email, RSS, Home, zoom in, zoom out, link, comment, envelope, mail, shopping cart, briefcase, document and more are available here. 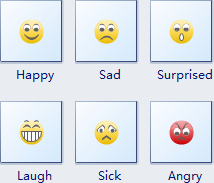 Included are also some emotion symbols. They are very helpful for customizing your mind maps and make them more lifelike. 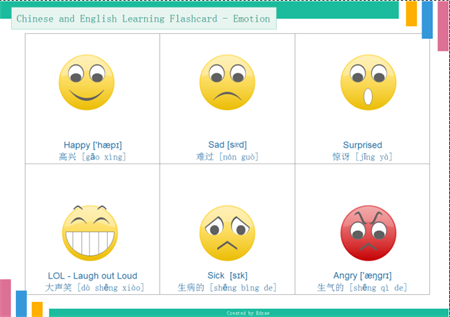 Of course, you can make the most of them to make various kinds of diagrams such as flash card. 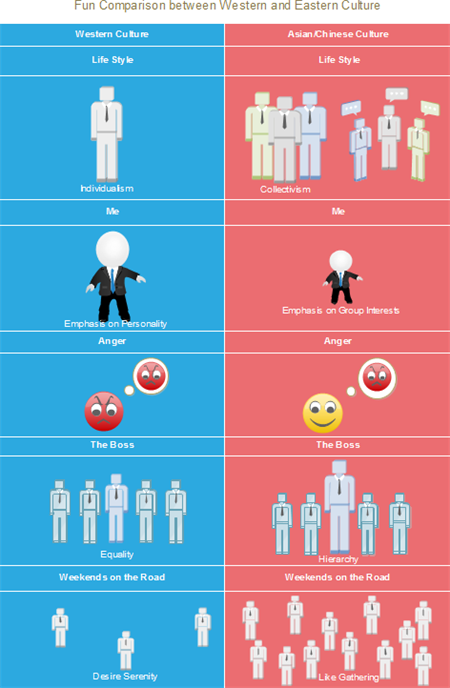 Check out the following examples.